Bell Island Heritage Society Inc. The Bell Island Heritage Society is dedicated to the preservation and promotion of our rich cultural heritage. 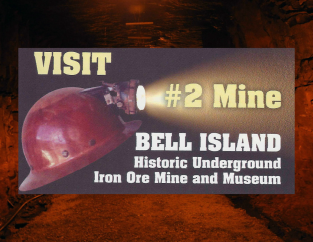 At the Bell Island Community Museum & #2 Mine Tour you'll be greeted by local tour guides who will share our history and tell you amazing stories about our forefathers. You'll be inspired by the tales of these hard working Bell Islanders who risked their lives to supply the world markets with iron ore.
Open seasonally 7 days a week from 10 AM to 6 PM from June 1 to September 30.